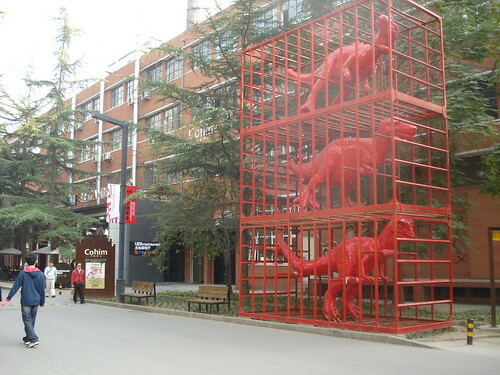 There is a huge art district in the north of Beijing with great shops, cafes, and open workshops. Prices for the art is super-expensive, so be prepared! Our favs were the giant dinos and the singing creatures.